May 31st, 2016 | Children & Pets, Moving Tips. You know you need a passport and a visa to move to a foreign country. But what about your family members with fur, feathers, or scales? Do they need a permit to cross international borders as well? Wild and stray animals freely cross borders all the time, so it may seem counterintuitive that your healthy, domesticated animals would require paperwork of any kind. However, your pets will require documentation, and the amount of documentation will depend on the country you move to. 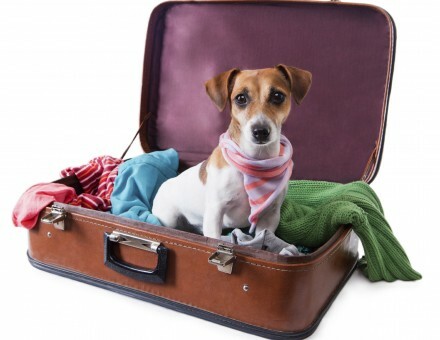 This blog post can’t cover the pet relocation requirements for every country in the world, but it can give you an overview of the basics so you know what to expect. Remember that you should start the documentation process for your pet several months in advance, just like you would do for your own documentation. Read below to learn more. If you have a fairly common pet, like a cat or dog from a popular breed, then you won’t have any trouble taking it to a new country as long as you follow the steps in this post. However, if you have a more exotic pet, you might have trouble moving it across borders. You’ll have a particularly difficult time if your animal comes from an endangered species. You may also have trouble if you have a cat or dog from a dangerous breed. Some countries restrict dogs and cats from breeds that have a reputation for violent temperaments. Even if your pets are sweet and well-behaved, you may have trouble getting them into the country. Explore your options beforehand. No matter what, you will need permits and pet passports for your furry, feathery, or scaly pets. The type of permit or passport depends on the country, so make sure you do your research long before you leave. Keep in mind that you may need this documentation even if you’ll live on a military base. After all, you’ll likely take your animal off the base during outings. Many countries require that people have medical examinations before they travel. The same goes for animals, so take your pets in to see the vet before you leave. The vet may need to give your animals more vaccinations before travel, especially if you move to a country with lax health restrictions or more pet diseases. Keep all the documents from your vet as proof of vaccination and other treatments. Some countries may restrict you from bringing your pets during seasons with severely cold or hot temperatures. These polices are meant to help your pets, since some animals don’t acclimatize well if they suddenly experience extreme temperature. If possible, plan your move around seasons when the new country will have similar temperatures to your current residence. Usually, if you have a pet passport, arrive during the right season, and take your pet to the vet for all the necessary preparations, your pet will completely or partially avoid quarantine. However, quarantine measures vary from country to country, so you may still face separation from your animal family members for a time. Research quarantine times in your new country so you can prepare in advance. International moves often prove tricky, even when you don’t have pets. Learn how to navigate them with ease by reading other posts on our blog. You’ll start your international adventure on a good note instead of a stressful one, and that can make all the difference when you adjust to a new culture.